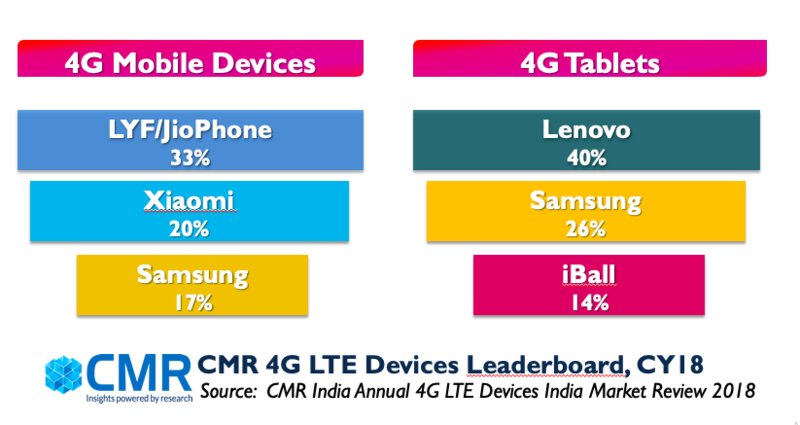 New Delhi/Gurugram, 4 April 2019: According to CMR’s Annual 4G LTE Devices India Market Review Report 2018 released today, the 4G LTE devices shipments in India grew at 50% in 2018 YoY with shipments surpassing 200M units. 4G devices include mobile phones, tablets and data cards. In 2018, 4G devices had a 64% market share. Over the next couple of years, 4G will continue to dominate India. CMR estimates point to 4G technology adoption potentially surpassing 80% by 2024. 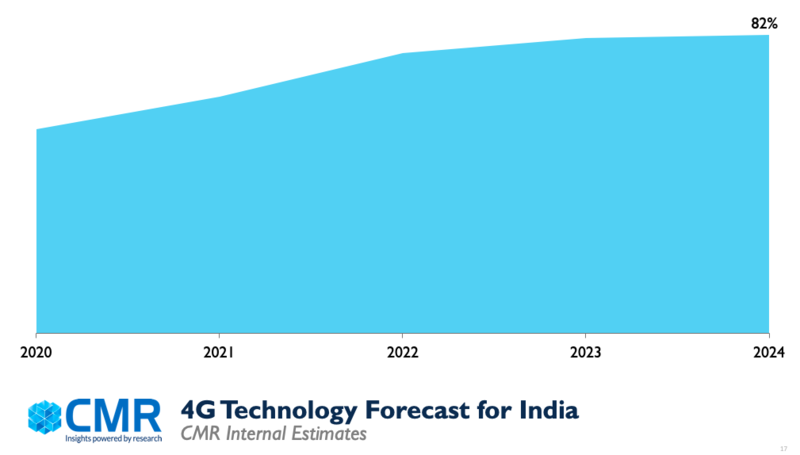 CMR anticipates a modest spike for 5G by 2023, with CMR internal estimates pointing to 5G smartphone shipments in India to top 140M by 2025.